Earn $0.71 in Rewards credit (71 points) What's This? Pliers are certainly not the most effective way of breaking loose those stubborn valve cores. Feedback's Valve Core Wrench on the other hand is a simple tool that quickly unthreads stubborn Presta or Schrader valve cores without damaging the delicate threads or the valve itself. 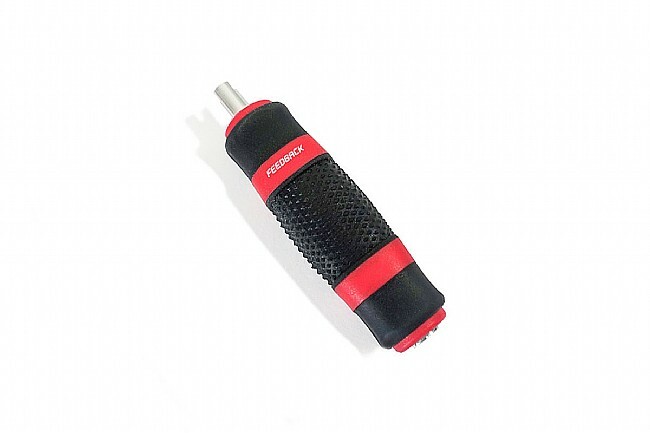 The large file-tread handle gives you a confident grip compared to the small metal design of other valve core tools.